Have you ever wondered how the average American household spends its money? How much goes into food versus shelter or how much money is spent on transportation versus clothing? 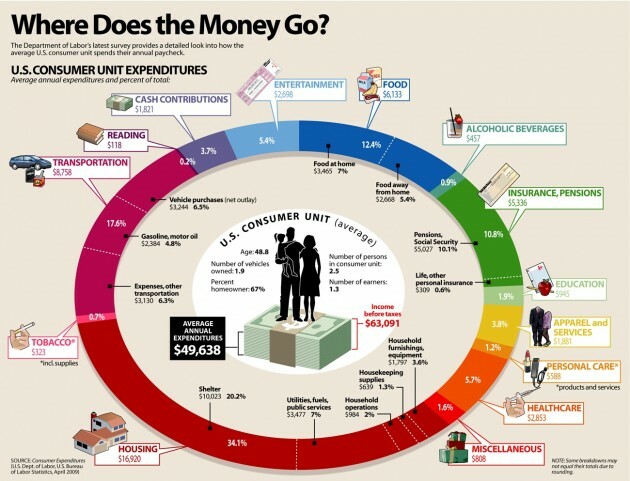 This great chart helps illustrate the most recent government data on household expenditures by category.